Image 6 "Declaration of War!! 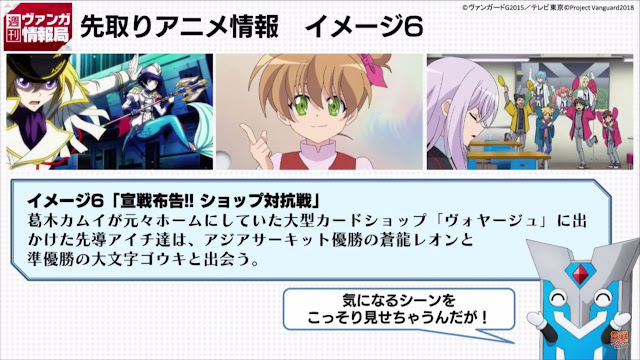 Shop Competition"
Sendou Aichi and friends go to the huge card shop "Voyage" that used to be Kamui's home, and meet the winner and runner-up of the Asia Circuit, Sōryū Leon and Daimonji Gouki. 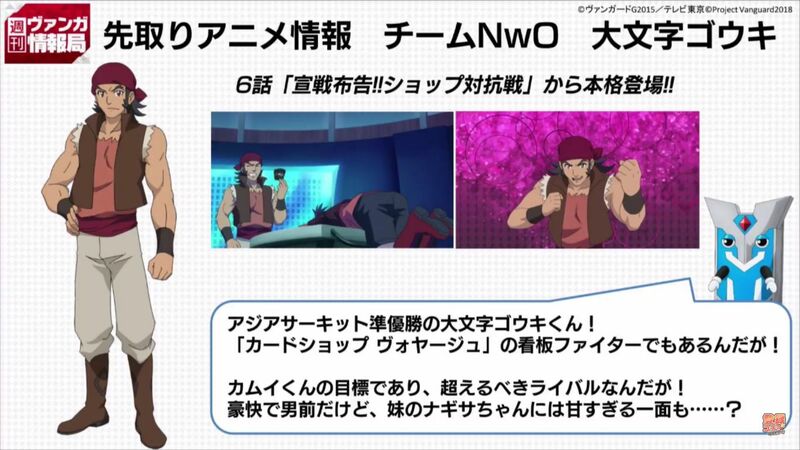 Gouki will be appearing in episode 6 as a member of Team NwO, Nagisa with Others. He's a rival of Kamui's. 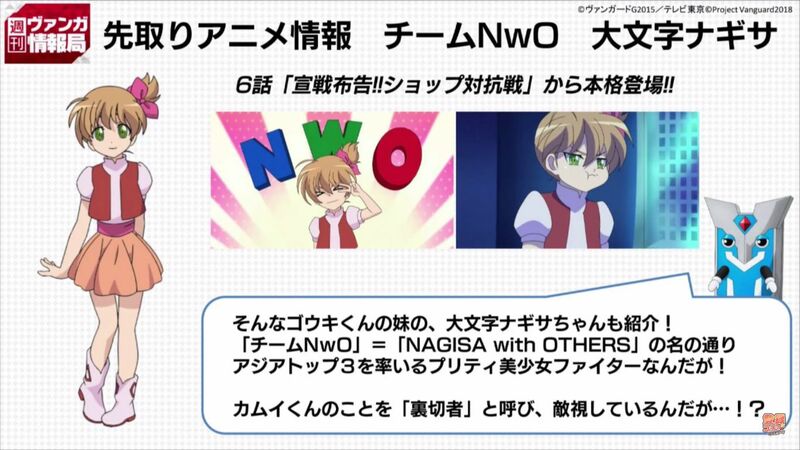 Nagisa is Gouki's little sister, and created Team NwO from the top 3 competitors in the Asia Circuit. However, it seems she considers Kamui a "traitor"...!? 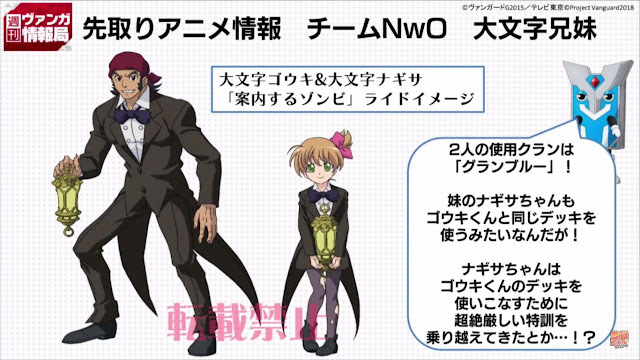 Nagisa and Gouki riding Guiding Zombie. Both of them use Granblue in the new series, with Nagisa undergoing special training to use Gouki's deck. Upcoming card sleeves for V-EB01 include Marine General of the Restless Tides Algos, King of Demonic Seas Basskirk, Ultimate Dimensional Robo Great Daiyusha, and Sōryū Leon sleeves. 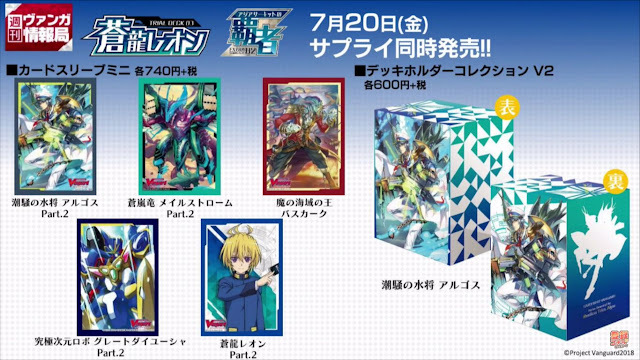 There will also be a deck holder themed after Algos.